IPL SRH Tickets 2019 tickets booking details are placed here. If you are looking to buy the Sunrisers Hyderabad tickets for the 2019 edition of the tournament, here are all the details mentioned below. Having won the 2016 edition of the IPL, Hyderabad will look to add to that kitty when their squad kick-starts the 2019 edition of the competition. And by the looks of things the Hyderabad team has it in them to go all the way to winning the title in the 12th edition. Get your Sunrisers Hyderabad tickets before they run out from the options mentioned below given that the tournament will now be played in India. IPL tickets Hyderabad 2019 booking will be made available on EventsNow. The home ground for the Sunrisers is in Hyderabad, which is the Rajiv Gandhi International Cricket Stadium. The starting price for the tickets to the Sunrisers Hyderabad home matches will be announced later, but looking at the previous season, they were worth Rs 500 going up to nearly Rs 4000. You can also buy IPL tickets in Hyderabad at the box office, metro stations and select SRH tickets retail outlets between 11 AM to 8 PM (details placed in the link above). SRH players list 2019 is placed here. David Warner will be returning to the Hyderabad squad but it remains to be seen if he will continue to captain the side or if Tom Moody and co are looking to announce another player as their leader. That said, the team is still quite a strong one and one that will take some beating. Martin Guptill and Warner will lead the batting now that Shikhar Dhawan has left for Delhi Daredevils, but that’s not to forget that Jonny Bairstow and Kane Williamson are both a part of the side as well. The Indian batting has Manish Pandey and Deepak Hooda but the one player to watch out is youngster Abhishek Sharma. The seam bowling attack continues to be strong, led by Bhuvneshwar Kumar with Sandeep Sharma, T Natarajan and Khaleel Ahmed from India in the set-up. The biggest plus, however, is Rashid Khan who will continue to remain the bowler to watch out for. With such a strong squad, the Sunrisers should be able to produce some good cricket in the 12th edition of the IPL. Watch this space as we bring you more on the ticketing front. The Orange Army, as the fans so eloquently call them will continue to search for another IPL title this season. Fans who might have missed out on purchasing the match tickets online or from the above venues do not have to be disappointed as the available tickets can be bought on match days directly from the stadium. It is advisable for fans to book their seats beforehand to ensure no last-minute issues, especially for important games like those against local rivals Royal Challengers Bangalore. Watching the likes of Kane Williamson, Rashid Khan and others will be a thrilling and pleasant experience at their home ground. It is recommended that you get your IPL 2019 tickets Hyderabad as soon as possible. 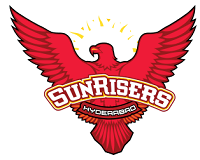 Sunrisers Hyderabad tickets 2019 details is placed above.